I exchanged a glance and a smile with an urbane looking fellow traveller. We had just ruefully joined yet another RyanAir queue for our flight! We started talking and I was delighted to have a reminder of my scientific past. Jack Peart works for Illumina. The products are state of the art DNA sequencers with particular relevance to green biotech, i.e. plants. This brought back vivid memories of my time as as a scientist in the plant field. I remembered the awe and delight at being able to sequence a few hundred bases of DNA after months of work in the 1980's. By the 1990s we could work with tens of samples over a week or two. Of course, by the noughties, the technology had advanced to screen hundreds of sequences. The age of genome sequencing was well and truly there - I still remember receiving and holding the first CD with the very first whole plant genome. Then it was a marvel that others had achieved after decades of work. I was used to sequencing using gels of finely pored material that separated molecules by size. Our results were first made visible using radioactivity. Later, safer fluorescent dyes were introduced, banishing the Geiger counters from the lab. As Jack briefed me whilst we were in the queue, DNA sequencing is very different now. Billions of different DNA fragments are bound to solid supports and sequenced simultaneously. The future proves to be even more amazing; there is the potential of reading single strands of DNA base by base as they pass through microscopic pores. Surely, it will not be long before one company or set of researchers win the second Archon X prize. 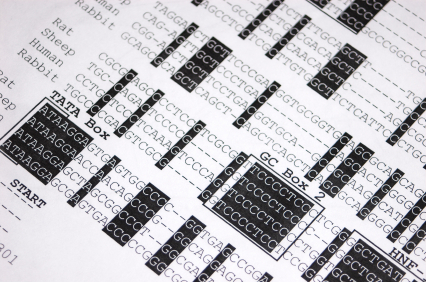 The prize is for sequencing 100 human genomes within 10 days at a very high accuracy. What recent advances in technology have amazed you?